This week something happened that doesn’t happen often. I got mad. Not to say I don’t have bad days, but I rarely get in a pissed-off, mad-at-the-world mood. But this week I did. Don’t get me wrong- I have days where I wish I kept my cool with my kids, or wish I stayed calm or got more done, but I don’t get truly angry very often. I also typically try to keep my emotions in check, but today they were most definitely not and my poor husband had to bear the blunt end of my rant/venting session. Not my blog specifically (I love you guys, my readers, and I love to write) but the idea of blogging, the profession of blogging and all the things that happen behind the scenes that readers never see or hear about. The things that bloggers get sucked into and are forced to deal & compete with. To preface, I should explain that the part that made me most angry is the perceived “selling out” of bloggers in various ways. This made me upset because I pride myself in writing ALL my own content, doing all my own research, making sure each article is super high quality and everything I ever link to, suggest or promote are products I personally use and love. It makes me mad when I see other bloggers not extending their readers the same courtesy. From the outside, health bloggers often appear to be perfect human beings who cook gourmet meals three times a day, have impeccable style, washboard abs, and an incredible personality. We aren’t (at least not all of those things all the time). Think about the pictures posted on facebook or instragram. You put your best foot forward. So do bloggers, but many of us are even more “filtered” since we are potentially exposed to and judged by thousands of people each day. I sincerely hope that no mom ever comes to my blog and feels like she isn’t good enough because it seems like I “do it all” or “am a great mom all the time.” I assure you I’m not. I have laundry baskets full of clothes in my bedroom right now and yesterday’s clothes are still on the floor. We’ve eaten organic hotdogs three times this week because the Wellness Mama Cookbook (and dealing with Amazon) has taken over my life. I don’t always cook three meals a day. Occasionally, I order Pete’s Paleo or from a local Japanese restaurant out of sheer convenience. I don’t always make my own detergent and cleaning supplies. Sometimes it’s just easier (and saves time) to buy (natural) laundry detergent at the store. Sometimes I cry because of comments I receive on my blog or facebook (sometimes happy tears, but usually tears of sadness, hurt, or pain). I’m very much not a perfect mom. Nor a perfect human. I blog to share things that have made my life easier or better and to hopefully help other moms, but I hope that everything I write encourages and uplifts and never makes another woman feel like she isn’t doing enough or isn’t good enough. If you’ve ever felt that way- trust me…. you are good enough. You are doing enough. You are a great mom, and one lesson I’ve learned the hard way lately is that your children, your family, need you. Imperfect, wonderful, you. I have a problem with bloggers making money in a non-genuine way at the expense of their readers. 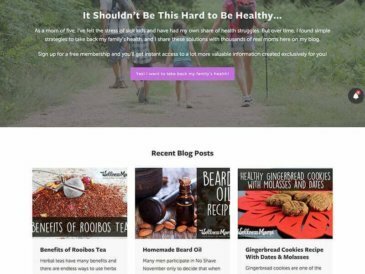 I have a problem when people duplicate my blog exactly for themselves, the design, every post and picture on the site, strip out my affiliate links and add their own, then claim everything as theirs. I have a problem when other sites pull every post and picture of mine to use for themselves… to get more traffic so they can charge more for ads. I have a problem with people copying content (both my content and that of others), stealing ideas and writing in an unauthentic voice solely for the goal of pushing more content out to the search engines. This annoys me because it isn’t about Google. It is about you. The readers. I don’t write for Google, I write for you! I don’t have a “list.” I have readers. I have friends. I have you. And you are the most important part of blogging to me. And you know what? 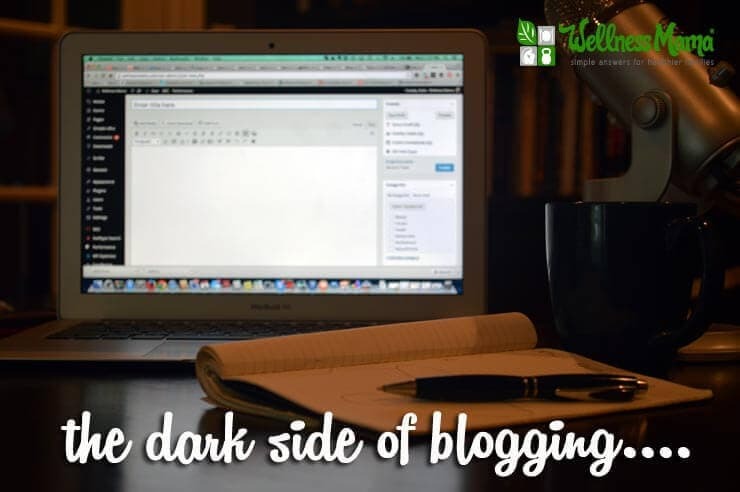 I’m not the only one who feels this way about the dark side of blogging. I’m extremely aware, appreciative and grateful every single day for the amazing community that has grown through Wellness Mama. It is so much bigger than me. It is a group. A sisterhood. A family of moms who quite literally have the power to change the world. I don’t take that lightly. It annoys me when I see bloggers in the industry who do. For me, blogging is really about creating a change for our kids. It isn’t about the money (though if that happens, it is great since we have six kids to feed, clothe and put through college one day) but that isn’t the goal. It is about making a healthier future for my children so they have decades and decades of health after college and so I get to live long enough to meet and enjoy my grandchildren. I like to think/hope that I don’t have the amazing community that has developed here because I’ve written good articles about certain topics, but because I care about you. Because I want an actual (online) relationship with you. Because I care about the future for your kids as much as for my own. I don’t want to be a “celebrity” from blogging (as some bloggers seem to want). In fact, this would utterly terrify me and get me so far out of my comfort zone I wouldn’t know who I was anymore. My goal isn’t to make millions, it is to HELP millions. Someone else could copy my writing, copy my posts, copy all my ideas, but it wouldn’t be the same because the passion isn’t there. Because the world doesn’t need another blog post about how to make lip balm or magnesium body butter (which I did invent, btw), but the world needs more passion. It needs more people who care. If that is you- I am forever grateful for you… really! If you are passionate about your own goals, your own life, your own family and their health… you are changing the world more than the bloggers you see making tons of money and looking perfect on Instagram. Because here is the deal… at the end of the day, it isn’t about me (and I’m super glad it isn’t!). I don’t use my last name. Not because I’m ashamed of it or have something to hide, but because it isn’t important (and because I value privacy for those six small children I mentioned). And because the movement, the “wellness mama idea”, is so much bigger than me. I’m here because I want to make a change, not become famous. It takes an incredible amount of time to make Wellness Mama what it is. Researching for posts. Taking photographs. Writing. Editing. Moderating comments. Social media promotion & communication. Etc. It costs a lot of money to keep it running. Design & development costs. Hosting. Upgraded servers when traffic grows. Premium plugins. Email service. Etc. Etc. Etc. I want to make sure I’m always focused on you, but sometimes I don’t know the best way to do this. I make sure I don’t use spammy tactics to try to sell you things you don’t need. I don’t white label products that I didn’t create to make money. I moderate every comment so that the community is an uplifting and healthy environment for you to learn. I prominently display my affiliate policy so that readers are aware of my quality standards, practices, and promotion requirements. I’ve struggled with the fact that I’m very much imperfect. WellnessMama.com has grown beyond my greatest goals and expectations. 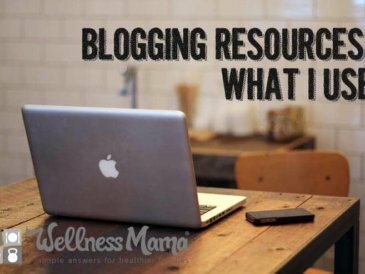 The blog gets a lot of traffic and in turn makes money through some of the products and resources I recommend. I still feel like a failure because I’m not the perfect mom or the perfect wife. I think we all do. I’ve said it before, but I don’t think any mom goes to bed feeling like she has the whole wife/mother thing under control. I know I don’t. In fact, every day, I stress because of this incredible community that I love so much. Because I don’t always look, act and behave the way a “perfect” mom should. I think we all do. So- long story short. Thank YOU so much for reading. For putting up with my rant. For caring about your family and the future of our children and our world. At the end of the day, I don’t give a damn about just having your email address on my list. I want you to actually adopt the healthy changes I write and email about. To put in the time. To make a lasting change for your family. To say that your family’s life has improved because of changes you made. That is what matters to me. 2014 has been a tough year in many ways. The blog has grown. A lot. But I’ve made mistakes. I promoted a course (against my intuition) for someone that wasn’t a good fit… because I was too competitive. I started promoting an essential oils company (against my better judgement) because I thought there was an opportunity to help some friends make money. 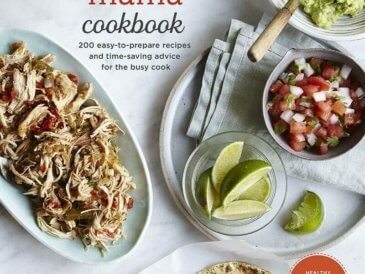 I self published the original Wellness Mama Cookbook, even though I had numerous offers from traditional publishers for upfront advances. And it’s wreaked havoc on my thyroid condition. At the same time, 2014 has been an incredibly wonderful and rewarding year and I am grateful for everything this year has brought. I’ve made awesome friends who started as online friends and are now real life friends, like Heather, Genevieve, Emily, and Kelly (go check them out- they are amazing!). People like Sean, Steve & Jordan, Mary, and Christa. I finally found an amazing doctor who has helped me find answers for my thyroid struggles. And I finally finished writing my book! So here is my pledge to you: I’m going to stop trying to be the “perfect” mom on the blog and social media. I’m going to stop stressing about answering every comment and start deleting those that don’t meet my requirements. I’m going to spend more time with family, even if that means I don’t post quite as often. I’m going to only create the most valuable, most helpful things I can and share those. I’m going to stop deleting posts because I feel like they aren’t good enough or might be met with resistance. I’m going to stop censoring my writing to meet the “squeaky clean Wellness Mama image” and let the real me shine through. Because at the end of the day, I rarely feel like I’m good enough. I feel inferior because I don’t look like Jennifer Aniston with the patience of June Cleaver and the culinary skills of Julia Childs. I feel imperfect because I don’t have 28 hours a day to get everything done that I want to accomplish. I’m going to be moving away from most “JV promotions” because they just don’t seem genuine to me. I’m going to focus on creating more helpful and useful content for you. I’m going to focus on enjoying my family and having balance and enjoying things more and stressing less. This crazy world of blogging has led me to wrestle with several internal struggles lately, and rather than try to face them on my own, I figured I’d ask for your advice (it has never failed me before, so no pressure!). 1. 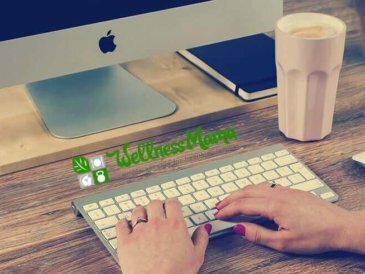 What do you consider “selling out?” If I were to allow advertisers (carefully selected of course) would your opinion of WellnessMama.com as a trusted resource change? 2. How much of the “real me” do you want to see? Do you want more of the raw, uncensored Katie, or prefer the squeaky clean, “Wellness Mama” image? 3. Do you want me to create more courses, ebooks, and products for you or just recommend others? 4. What type of content and information will be most helpful to you moving forward? 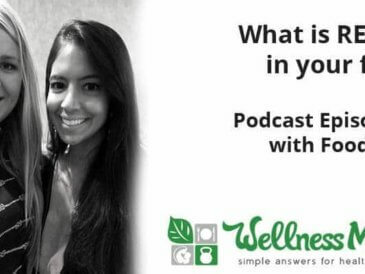 How can I best provide simple answers for healthier families for you?